Get your cameras ready - we will show you why Central park is the most interesting spot in Manhattan. Spoil yourself with our pedicab services and great tour guides. This picture is taken next to John Lennon's memorial in Central park, New York City. In the distance you can see the Dakota building -72nd Street and Central Park West. 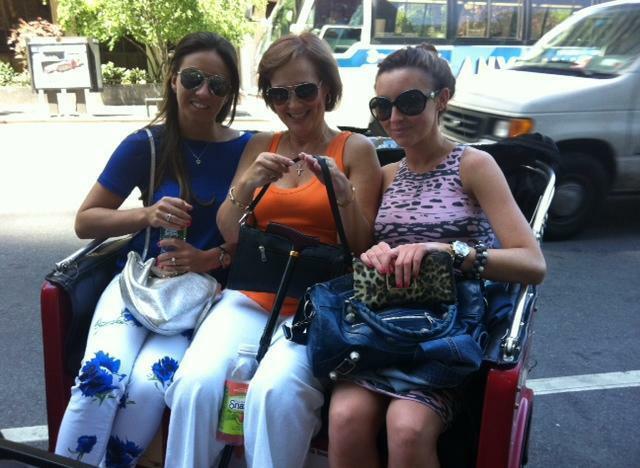 Feel comfortable and enjoy the beauties of Central park - try our guided rickshaw tours. Take your family on a vacation in New York City. And don't miss the main hightlight - our bike & pedicab tours. Thanks for the lovely tour on Friday and thank you for taking great pictures. The north part of the park. Lots of quiet and beautiful spots. Belvedere castle in Central park New York City. Enjoy the view! This is one of our stops for taking pictures - 72nd Street in Central park - Bethesda terrace and fountain, the Lake. 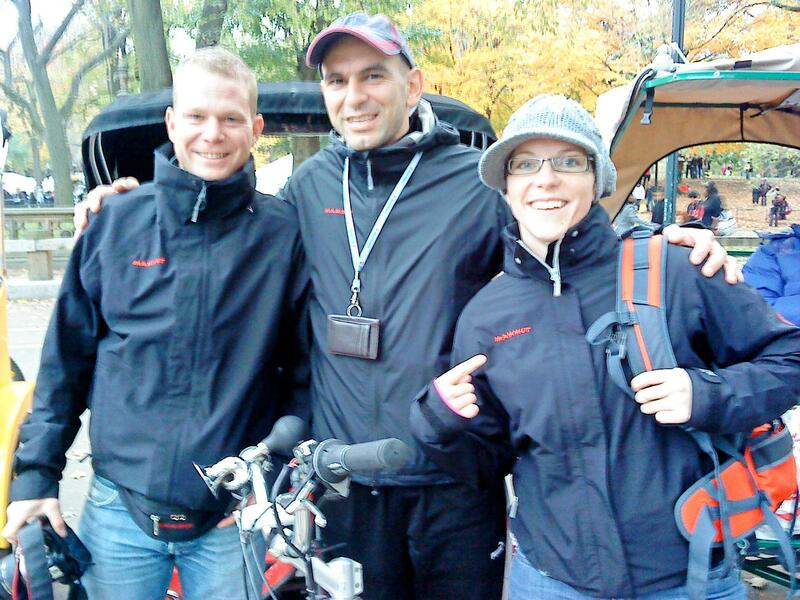 The picture was taken on one of our Central park bicycle tours. This is 72nd Steet - Bethesda Terrace, the geometrical center of the Manhattan island. This is the Bethesda fountain and the statue Angel of the Waters.